Sure, you may realize that junk car you have sitting on your street, or in your driveway is an eyesore, but did you know that you’re also harming the environment by keeping it around? It’s important that the disposal of junk cars is completed correctly, in order to avoid the creation of an environmental hazard. By junking your car in Queens, you’re doing your part to keep you environment safe and healthy, and once we purchase your car, we continue that dedication to eco-friendly solutions. Junk cars that are left unattended expose children, pets, soil and even our water supply to dangerous, toxic leaking fluids. In addition, it’s our goal to recycle as much of your junk car as possible, so we keep a careful inventory of everything that can be reused from your vehicle, and put it to good use with the creation of valuable new products. It’s also important to eliminate the use of old vehicles with unsafe emissions and replace them with newer, more environmentally-conscious vehicles. If you want to do your part to help your environment, and keep your neighborhood and its residents safe, start by getting rid of that junk car. We take every necessary step to dispose of toxic materials from your junk car, and recycle the available parts. 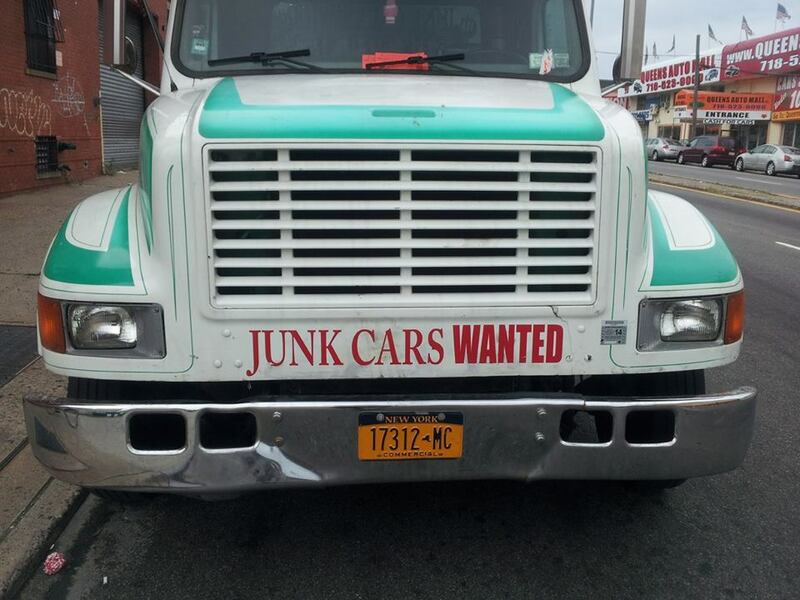 By selling your junk car in Queens, you’re not just earning cash, but you’re helping promote environmental consciousness and keep your community clean. Contact NYC Auto Salvage and Glass at 718-297-9797, and let us help you dispose of your car the right way, while keeping everyone around you safe. Follow us on Facebook and Twitter for lots of great information and updates!